Zero Tolerance presents the 0452CF, a streamlined form and unmatched function, inspired by ZT’s award-winning 0454, and designed alongside custom knifemaker Dmitry Sinkevich. The 0452CF’s high-performance 4.1-inch blade is crafted from S35VN steel for amazing toughness, corrosion resistance and edge retention, while providing a sharper, longer-lasting edge that is easily resharpened. A dual satin/stonewashed finish composes the blade’s non-reflective matte appearance. The 0452CF’s handle features a carbon fiber front and stonewashed titanium back, reducing overall weight, with a titanium frame lock with hardened steel lockbar insert, ensuring secure blade lock-up during use. The KTV ball-bearing opening system and built-in flipper operate with ease, a handsome 5-spoke pivot adds a touch of class to the frame, and a deep-carry pocketclip is left/right reversible, for discreet low-in-the-pocket carry. 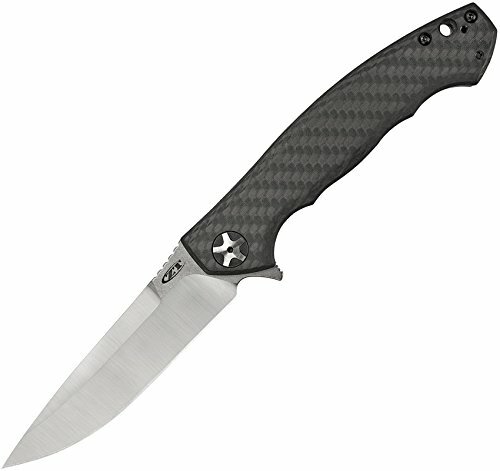 From the office to the outdoors, the 0452CF by Zero Tolerance is the ultimate EDC. "Hello, Thank you for all you do to make The Kershaw Sporting Goods catalog good.